Really, don't even worry about the measurements. Make as much pasta and peas as you like, and dress them up with butter, lemon and cheese, adding enough pasta water to make a sauce. 1Bring a big pot of water to a boil and add the pasta; cook until al dente, adding the peas for the last 4 minutes of cooking time. Before you drain it, scoop out some of the water with a measuring cup. 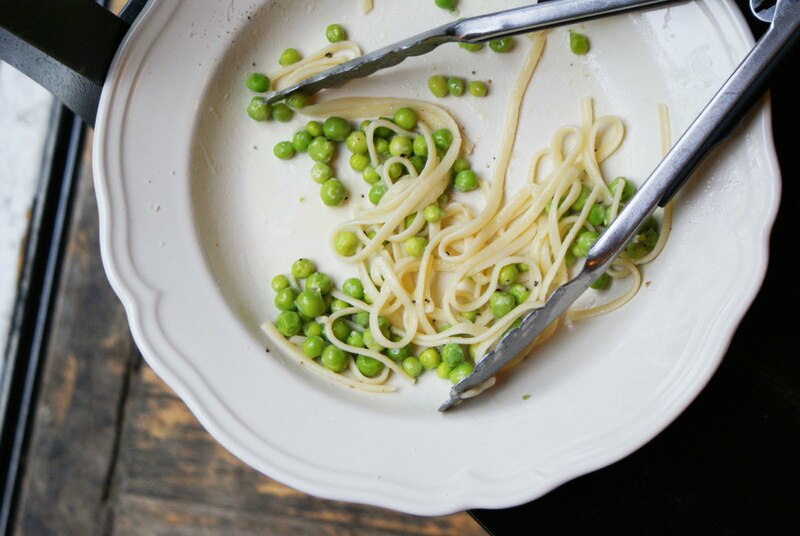 2Drain the pasta and peas and put it back in the pan - add a knob of butter, a squeeze of lemon and lots of freshly grated Parmesan cheese, and enough of the pasta water to make a saucy consistency.